I remember buying my first Porsche like it was yesterday. Looking at the adverts in Top Marques magazine I spotted this reasonably priced car for sale at the Porsche dealership in Edinburgh. I called the salesman and manage to do a deal over the phone as I didn’t have a part exchange. I paid the deposit over the phone and I was so excited I was counting the days until I picked the car up. As most of my Uncles loved Mercedes cars I was the first person to own a Porsche in the family. The night before I was going to pick my car up I couldn’t get to sleep with excitement. After tossing and turning I guess I finally managed to get to sleep, the train journey to Edinburgh beckoned. The salesman picked me up from the station and promptly whisked me back to the garage to do my paperwork etc. I remember starting the Boxster like it was only yesterday, the hairs on my neck stood up and I really had a tingle down my spine from the noise of the engine and the meaty growl from the exhaust. Most Porsche fans will say the Boxster is not a proper Porsche but let’s not forget this car and the Cayenne have helped the company to become the money making machine it is. This brings me on to car I have had the real pleasure in driving this month, the new turbocharged 911. Once again Porsche purists will be appalled to read about the company going down the turbocharged route, the company’s justification for doing so is for greater efficiency and economy. With so many manufacturers going down the hybrid electric route it was only a matter of time before the 911 was made more environmentally friendly. The 911 was originally launched back in 1963 and it has been improved every time but this has to be one of the biggest changes to the car ever. The only non turbo version in the range will be the GT3 which for now will still have a naturally aspirated engine. The car is available in either coupe, cabriolet or a targa which is a half way house between the two and with either two or four wheel drive. I have been given the best selling Coupe S to drive, first impressions are the car is not too dissimilar to the outgoing model from the outside. There are new mirrors, more aerodynamic body styling, new door handles and a more retro looking rear air cover. The main changed are to the engine and the cars dashboard, stepping inside the cabin and you realise the 911 really is a car you can drive everyday. The cars dash is leather trimmed and the scattering of aluminium gives the car a real premium feel. The touchscreen controls all of the cars sat nav, phone the inclusion of Apple Car Play makes it easier to play music or view messages. The driver and passenger have plenty of both head and legroom, the two rear seats can be folded for luggage and cases or they are ideal for two young adults. The front boot is ideal for a couple of weekend bags or a small case, just for the record there is more than enough room for a supermarket shop as well. Being such a sporty car with massive alloys and tyres you would expect the ride to be very firm indeed. The car I drove had pasm fitted as standard and what a difference it makes to the cars ride. I can honestly say the imperfections in the road were handled with ease. The cars electronic stability is excellent and it should keep most drivers out of trouble. Should you be unfortunate enough to be involved in a crash then the front, side and window airbags will protect the cars occupants. Optional safety equipment includes blind spot monitoring, active cruise control and more powerful carbon brakes. Given the choice of the 7 speed manual or the 7 pdk auto box I would go for the optional automatic all day long. It simply is a real joy to use and you physically can’t change gears as quick as the box does. The manual also has a very heavy clutch which makes driving in traffic more like a workout for your left leg. I always remember hearing horror stories about 911’s losing control on bends but this car is no longer intimidating to drive at all. A normal driver now feels like Lewis Hamilton behind the wheel as it is just so easy to drive. The cars steering is just so precise, you simply move the wheel and the car goes exactly where you want it to. Factor in the amazing road holding and you really have a car to have massive amounts of fun in. 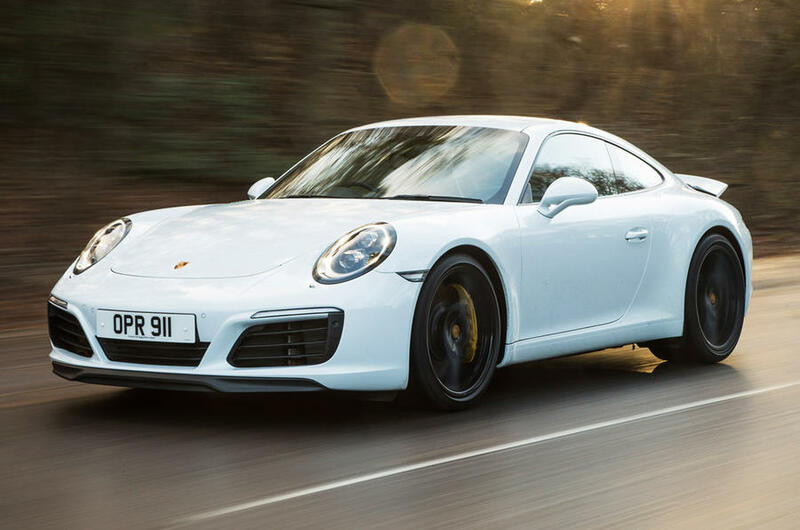 The base model Carrera now gets to 62mph in a blistering 4.6 seconds, the Carrera S has so much pulling power you could literally leave it a high gear all day long. The Carrera is supposed to average 38mpg but in the real world most drivers should achieve 30mpg with a mix of town and motorway driving. The 911 comes with leather upholstery, sat nav, digital radio and dual zone climate control as standard. The list of options is extensive and most owners can spend another £10,000 above the cars list price with consummate ease. The new turbocharged engine makes the car more efficient than ever and the bonus of better economy makes this car an even more practical car to drive daily. Despite the engines being a touch more refined this car is still the class leader and I can honestly say I didn’t want to give the keys back!! Car supplied by Porsche Newcastle.